DENVER, CO -- There are no ‘safe’ shots in golf, but some shots are safer than others – or at least that’s how it seems. Staring down a 200-yard carry from the tee is intimidating for even those who fly the ball a long way – but there’s a shot in golf that’s equally scary for a good lot of players: the 3-foot putt. That’s where Yes! Golf comes in, with its C-Groove putter designs, a combination of experience and engineering that’s specifically designed to take all the intimidation out of those little squeaker putts – and a good many longer putts as well. It’s true, a tap-in putt counts the same as a 300-yard drive on the scorecard, yet when visiting the driving range, you invariably see more people banging away at their drivers than performing putting drills. It’s an unequal division of practice time that most of us would own up to – maybe it’s because it hurts less to miss a putt than it does to dig a ball out of a thorny bush. Whatever the reason, if you truly want to lower your handicap, it’s more likely going to come from spending ten extra minutes putting than it is from hitting another half bucket of range balls. And luckily, we have help on the greens. Though Yes! Golf is perhaps lesser known (at least in the U.S) than some of its major equipment manufacturer competitors, it’s already made a name for itself on the professional Tours – especially the LPGA. Anyone who’s watched the European Ryder Cup team’s dominance over the past decade (2008 excepted, of course) knows that the players from the ‘old’ continent have been sinking a lot of crucial putts – which made all the difference. They’ve seemed unconscious at times. 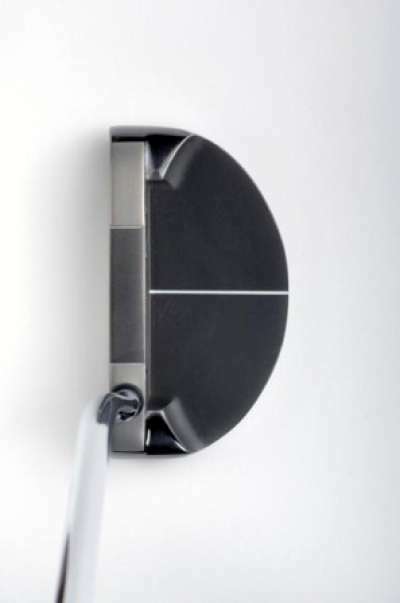 As a bit of background, in 1995, Harold Swash developed the C-Groove (concentric groove) theory that then became the C-Groove putter, and then Houston-based Pro Gear reached an agreement with Swash to manufacture and market the new putters in 1996. Pro Gear then moved its headquarters to Denver, Colorado in 1999, and in 2001, the company changed its name to Yes! Golf. Yes! Golf’s big break came in the same year (2001), when Retief Goosen won the U.S. Open sinking putt after putt with a Yes! 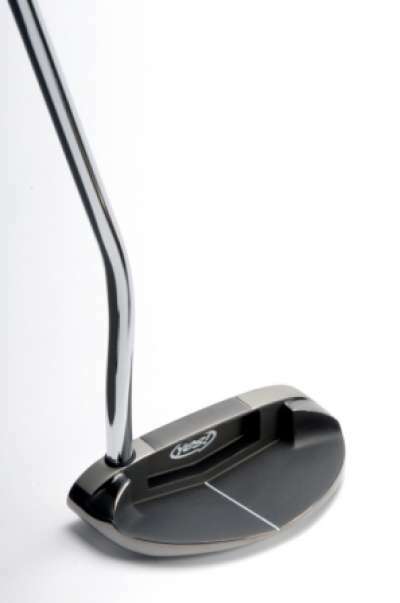 Golf putter (the Tracy model, named after his wife), and the company’s reputation has grown from there – including another U.S. Open victory by Goosen in 2004. 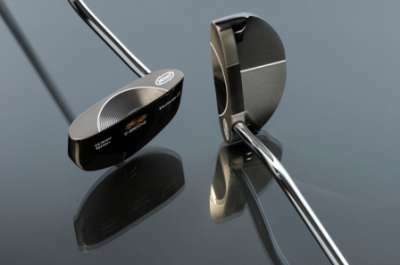 The model I tried was the Victoria II, a mallet-style putter with the distinctive C-Groove design on the face. After glancing over the products list, I noticed that all the putters have feminine names – and it turns out, the lady pros seem taken with the putters as well. Yes! Golf became the number one putter on the LPGA Tour in 2006 at the Canadian Women’s Open, where 37 players (according to the Darrell Survey) employed one of the company’s models – and the company continues to be a special favorite of the ladies to this day. Alas, the C-Groove can even make your local golf course’s greens superintendent look better. Green grass aside, Philip says the C-Groove went through thousands of tests to prove its mettle, and the results speak for themselves. Then there’s the feel of the putter. “The impact of a C-Groove also feels different than that of a flat-faced putter in that the reduced surface area of the grooved striking surface actually gives the player the feeling of ‘gripping’ the ball. This sense of control improves feel and confidence simultaneously,” Philip added. There’s more than just the science involved with the C-Groove. Swash has dedicated much of his life to the art of putting, applying his engineering background to develop his product, and throwing in some love along the way. According to Philip, Swash’s engineering innovations are also still being used in the auto industry – so it’s no accident that his love of putting has led to design success on the putting surfaces, too. Then, there’s the downside. “That said, the money it takes to get these putters into the hands of the players is significant and keeping these putters in the bag requires constant representation on Tour,” Philip added. Also as noted above, the LPGA is a different ballgame altogether. Philip believes the lady players use the putter because it works and because they get great service – in that order, he thinks. Philip also said it’s amazing to see the number of people out there who keep track of what’s in each player’s bag – and these are the folks who buy putters, so it’s serious business. Less serious business is actually playing the C-Groove putter on the greens – it’s far too ‘easy’ to make it serious. Putters are perhaps the most subjective piece of equipment in your entire golf bag, and if ever there was a club that you ‘know it when you feel it,’ it’s with the putter. My Yes! Golf Victoria II putter (with a mallet-shaped head) is reassuring on the eyes and seems a little heavier in the head than other putters I’ve used. The C-Groove truly does produce a soft feel, which has allowed me to better judge how hard to hit putts. It’s easy to line-up, and true to Philip’s words, it rolls the ball straight and consistent. That’s about all I ask for from a putter, and that’s what the Victoria II has delivered. Like we do with all golf equipment we sample, we recommend you try Yes! Golf’s products along with other high-end manufacturers to compare their products. Yes! Golf products aren’t likely to be found in the ‘marked down’ putter bin at your local golf discount store, but with something as important and personal as a putter, you get what you pay for. And as would be expected in this day and age of customization, Yes! 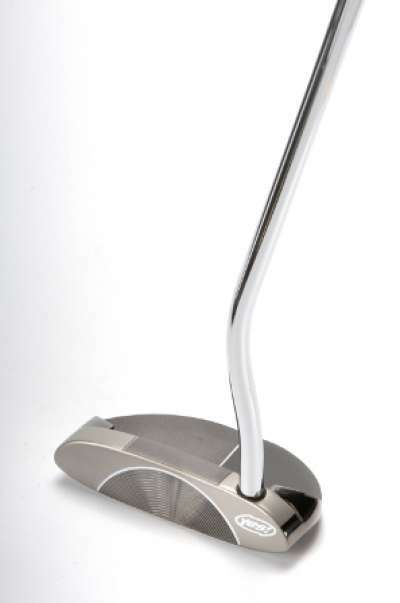 Golf offers different fitting options, allowing those tinkerers amongst us to set loft, lie, length, style, weighting, grip, etc… Then, once you’ve bought the putter, there’s a knowledgeable support staff waiting should you have any questions on how to maximize your C-Groove’s performance. And with the success of the C-Groove design, Yes! Golf’s got a real shot at it. The Yes! Golf Website includes a dealer locator that works well.